The following article was published by the United Association of Flight Attendants MEC Communication Committee, Christopher Clarke, Chairperson. “In 1945, five brave Stewardesses working for United Airlines formed the first union for Airline Stewardesses. 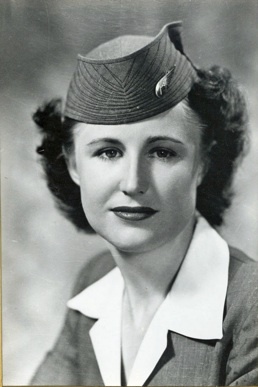 Ada Brown Greenfield, Frances Hall, Edith Lauterbach, Sally Thometz and Sally Watt Keenan named their union the Air Line Stewardess Association (ALSA). This was the beginning of our union, the Association of Flight Attendants-CWA. AFA-CWA Constitution & Bylaws, Section I.R. The 2013 AFA-CWA Board of Directors moved to formally recognize our Flight Attendant history by establishing Union Founders’ Day to honor our union’s founding members and to recognize the important role of our active members October 1 is appropriate as it is the birthday of AFA’s last surviving founding member, Edith Lauterbach, who passed away in 2013. She flew for United Airlines for over 40 years and witnessed the evolution of our profession from ‘sky girl’ to first responder. On October 1, we will honor the original mission of our Founding Mothers and what they set in motion for our Flight Attendant union. RAFA member retirees are officially recognized with gold AFA pins. AFA retirees, through the Retired Association of Flight Attendants, also worked to organize Flight Attendant Celebration Day at the SFO Museum on August 20, 2013. Several speakers contributed to the program and AFA International Vice President Sara Nelson delivered a speech about the evolution of our role to First Responders.